The halls are decked, the shepherds are watching their flocks, and those merry gentleman are well rested. That must mean Christmas is coming. 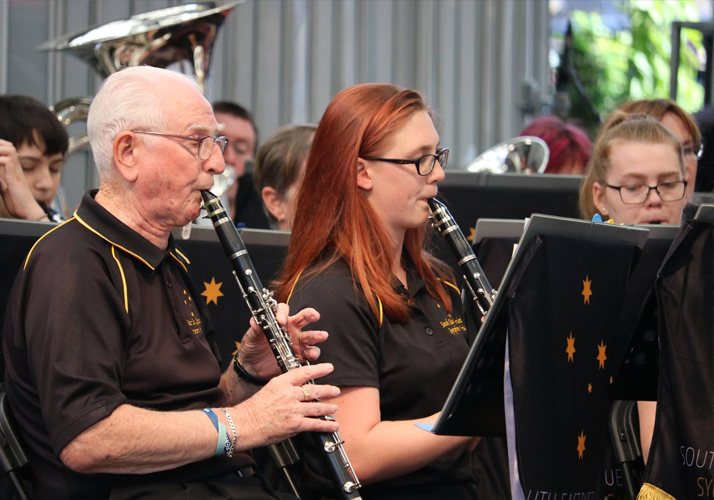 The South East Queensland Symphonic Winds and the South East Queensland Big Band are looking forward to spreading some Christmas cheer with a great selection of holiday tunes, both old and new. So come and get that Christmas shopping done and take a break at 12, 1 and 2 to listen to the music of the season.